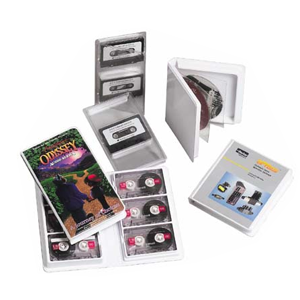 Our audio albums are produced with interlocking trays to protect your cassettes. We have the capacity to make any format up to a 48 cassette album. Our three most common albums are pictured here. Standard features: black or white .020 gauge rigid vinyl trays, standard shoe kid, suedene and french calf colors.